Like front-line soldiers, your skin cells are in constant combat against the elements of your life, from how much stress you endure, to your lifestyle choices, genetics, and even what foods you eat. 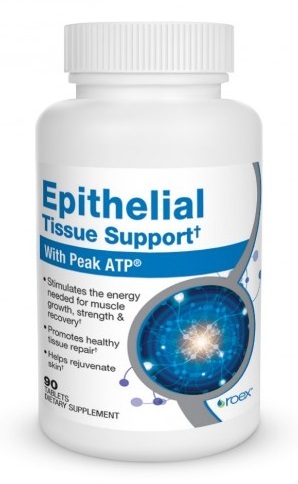 Epithelial Tissue Support combines the power of the highest-quality nutritional ingredients to nourish skin cells and encourage cellular regeneration so your front-lines remain stalwart and defy the laws of aging. At Roex, we’ve taken our finest, strongest ingredients that help support and maintain your delicate epithelial tissues, and we’ve formulated a superior all-in-one supplement. Like front-line soldiers, your outer tissues are in constant combat against the elements of your life, from how much stress you endure to your habits, genetics, and even what foods you eat. Roex Epithelial Tissue Support combines the power of highest-quality nutritional ingredients to nourish cells and encourage cellular regeneration so your front-lines remain stalwart and defy the laws of aging. Epithelial tissues are widespread throughout your body. They cover all body surfaces – inside and out – and are major tissues of glands. Because epithelium covers organs, forms the inner lining of body cavities, and lines hollow organs, it always has a free surface – one that is exposed to the outside or to an open space internally. Unlike many tissues, you get to actually see a lot of epithelial tissue every day in your skin. In fact, your skin is the largest organ of your body so its epithelial tissues cover the most ground. Skin epithelium is truly your first line of defense against the outside physical world, creating a barrier like none other found in the body. But epithelial tissues go much deeper than what is just out on the surface of your skin. Epithelial tissues encase your every part, including body cavities. They serve to protect, and they also perform other important duties, like secretion, absorption, and excretion. You can think of these tissues as windows and doors to your critical parts. As a rule, epithelial tissues lack blood vessels. But they are nourished by substances that diffuse from underlying connective tissue, which are well supplied with blood vessels. Epithelial cells reproduce routinely. As a result, injuries to epithelium are likely to heal rapidly as new cells replace lost or damaged ones. For example, skin cells and the cells that line your stomach and intestines are continually being damaged and replaced. 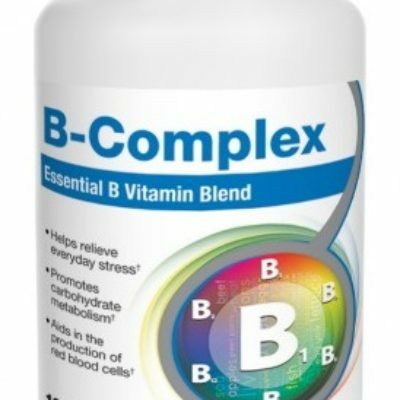 The quicker your body can replace damaged cells, the better your body can recover and avoid the aging process. Truth be told, the aging process is largely a factor of how well you can grow and repair cells throughout your body, especially the ones related to your vital organs, such as your heart and liver. The better you can nourish those vital cells and provide for their continued support, the better you will age, and look and feel younger. And this is exactly where Roex Epithelial Tissue Support comes into play. 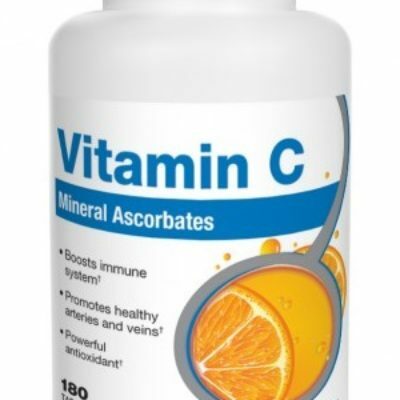 Vitamin C (Calcium Ascorbate and Ascorbyl Palmitate): Vitamin C plays a role in many metabolic functions to improve immune function, maintain healthy skin, support collagen building for connective tissues, and combat the aging process. It is non-acidic and gentle on your stomach. Hydrolyzed Bovine Collagen: High quality collagen products that help maintain healthy cartilage tissue and nutritionally support joint function. Studies have shown that Type II Collagen promotes healthy cartilage cells and enhances the quality of synovial fluid for the joints. 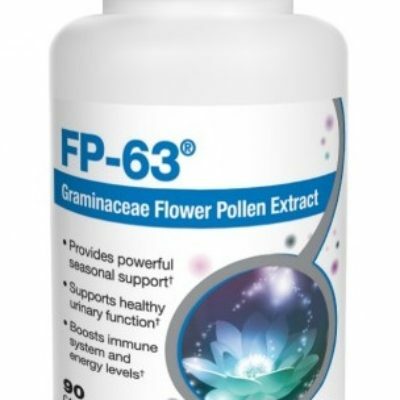 Pomegranate Extract: Its antioxidant compounds help fight free radicals, which in turn help you maintain a youthful appearance. MSM: It’s called the “beauty mineral” for its fundamental involvement in the formation of bones, hair, skin, nails, and connective tissue like tendons and cartilage. MSM is dietary sulfur, which is the fourth most prominent mineral in the body and the missing mineral in our daily diet. Many of the ingredients in Roex Epithelial Tissue Support relate to collagen, which is among the most abundant and important structural molecules of bones, skin, blood vessel walls, tendons, ligaments, and all organs. As such, your ability to restore damaged collagen reflects your general health. So no matter what elements you expose your cells to on a daily basis, be sure to give your cells our superbly formulated Epithelial Tissue Support. 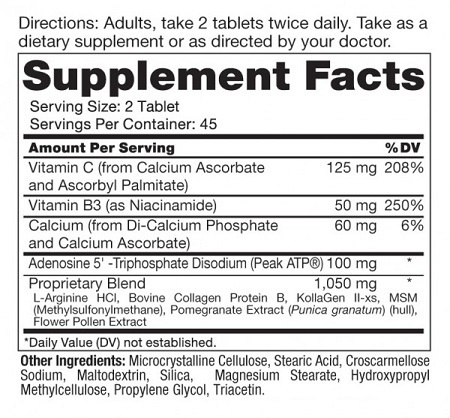 Directions: As a dietary supplement, take two (2) tablets twice daily. Warning: Do not use if pregnant or nursing. 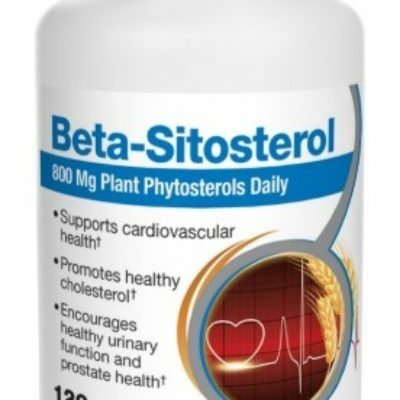 Consult your physician prior to use if you have a medical condition or are taking medications. Not intended for children.